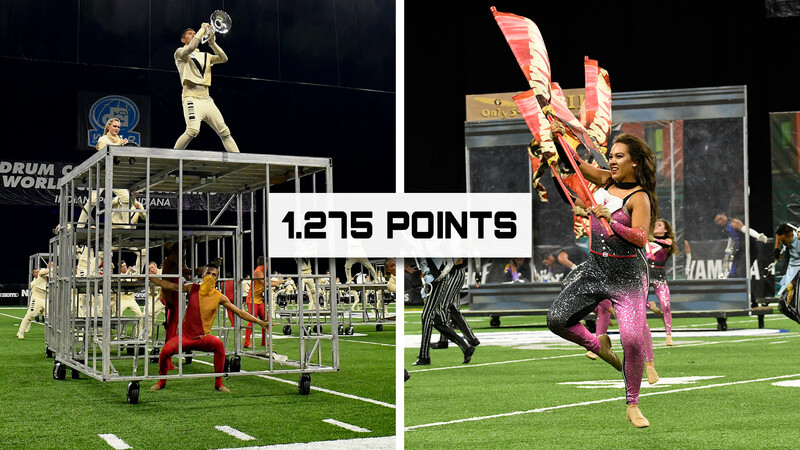 Nineteen years removed from the corps’ last World Championship title, Santa Clara Vanguard sat atop the leader board all of July and August. 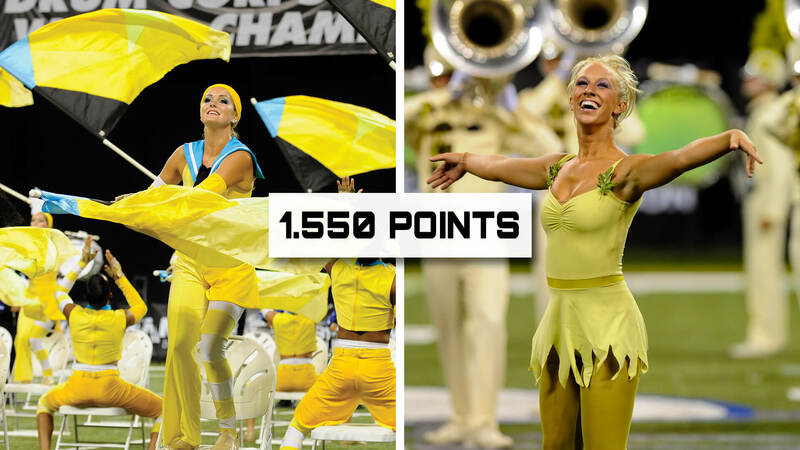 Back-to-back silver medals for Santa Clara Vanguard led to the Blue Devils' sixth World Championship title. 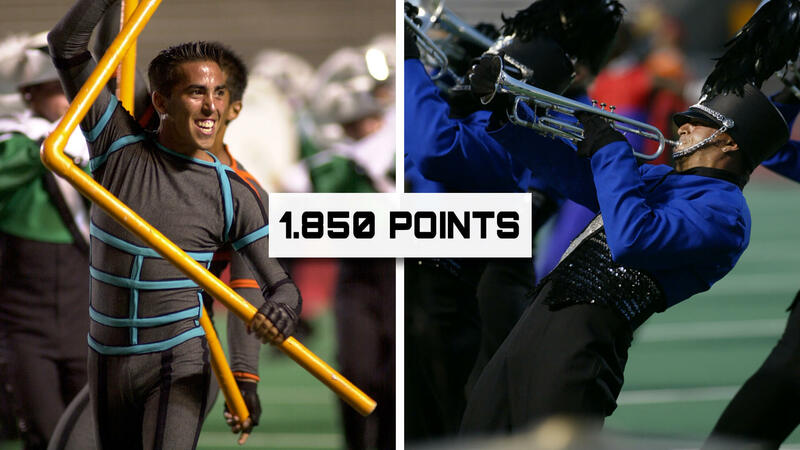 With Santa Clara Vanguard and the Blue Devils locked at the top for the second World Championship tie in DCI history, the two California corps managed to stay well ahead of The Cavaliers, who managed to pass up The Cadets on the final night of the season to grab a medalist position. 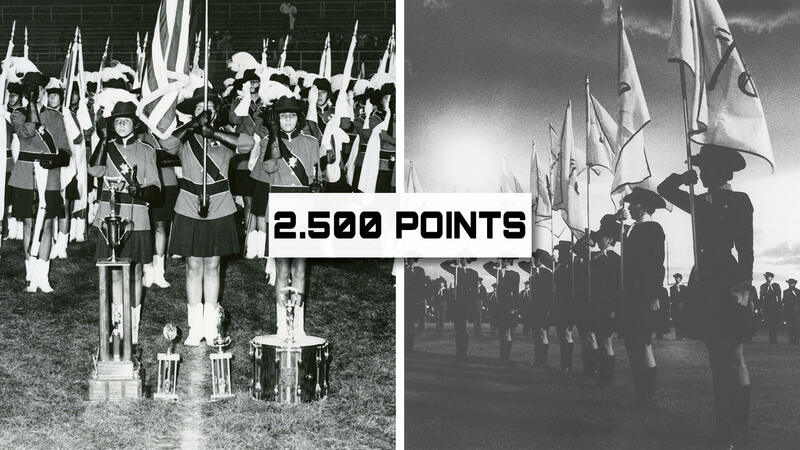 Save for one second-place finish early in August, the Madison Scouts were nearly untouchable in 1975 as the Wisconsin corps powered its way through the DCI World Championships in Philadelphia. 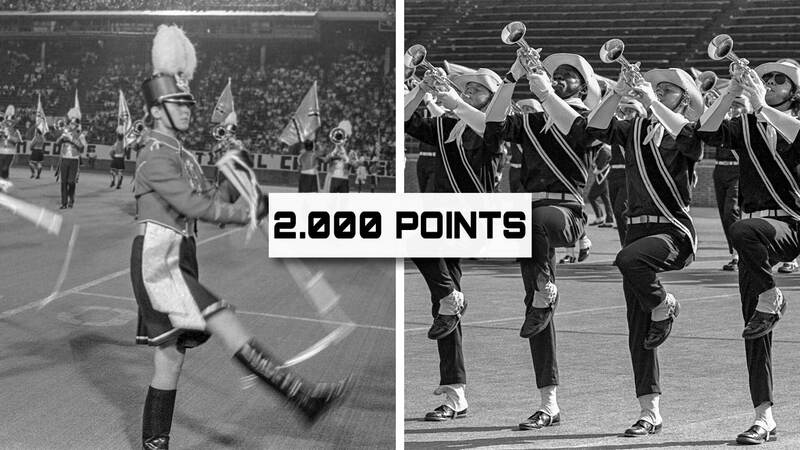 Earning a 99.150, The Cadets managed to tie the 2002 Cavaliers for the then-highest score ever in DCI World Championship competition. 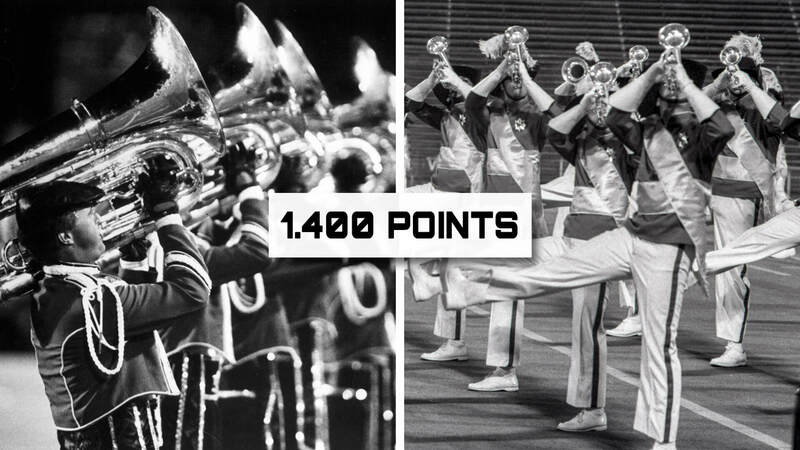 With the Cavaliers riding a 64-win streak dating back to 2001, it wouldn’t be until more than two-thirds of the way through the season in Indianapolis that the Blue Devils finally gained the upper hand. 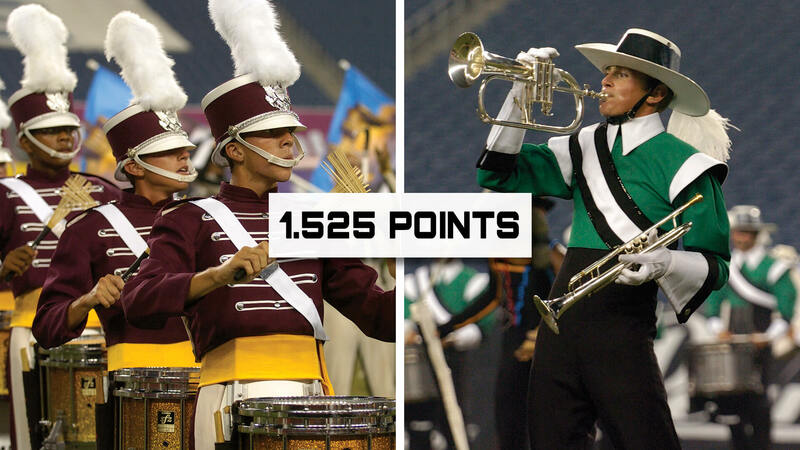 The Concord, California corps never looked back from there, winning every competition through the end of the DCI World Championship Finals in Orlando. 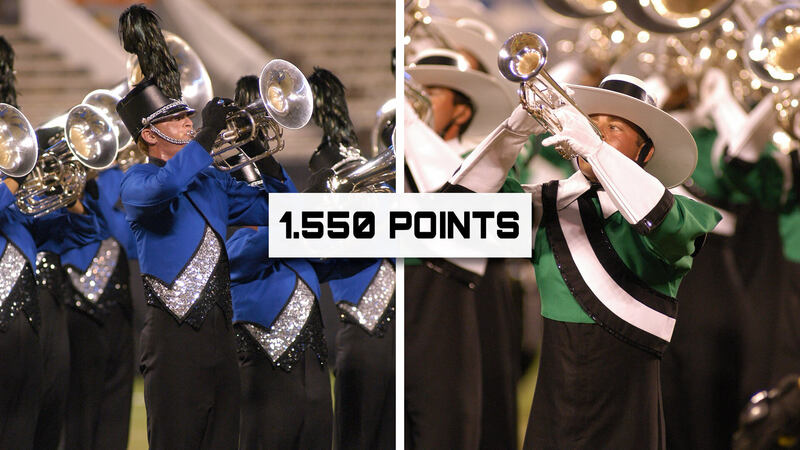 Even with Carolina Crown having one of the best seasons in the history of the South Carolina organization, the Blue Devils held strong at the top all season long on the way to an undefeated season. 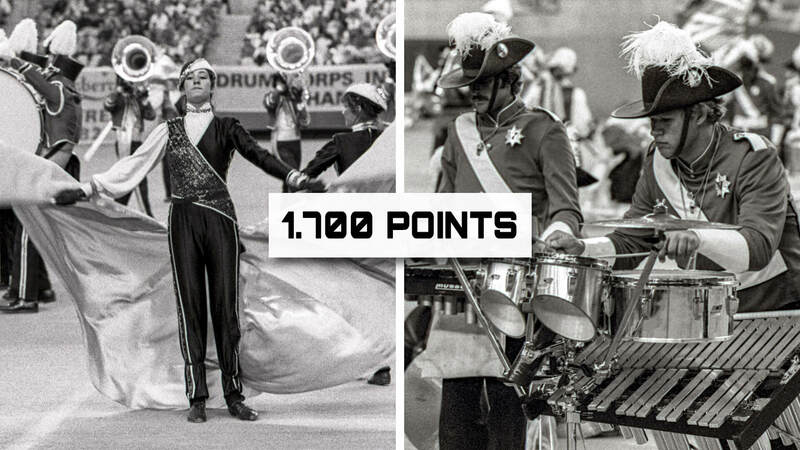 Suffering one of the narrowest losses ever at the 1981 World Championships Finals (0.3 points), the Blue Devils came back with a vengeance to win it all in 1982, for the second year the DCI World Championship was held in Montreal. 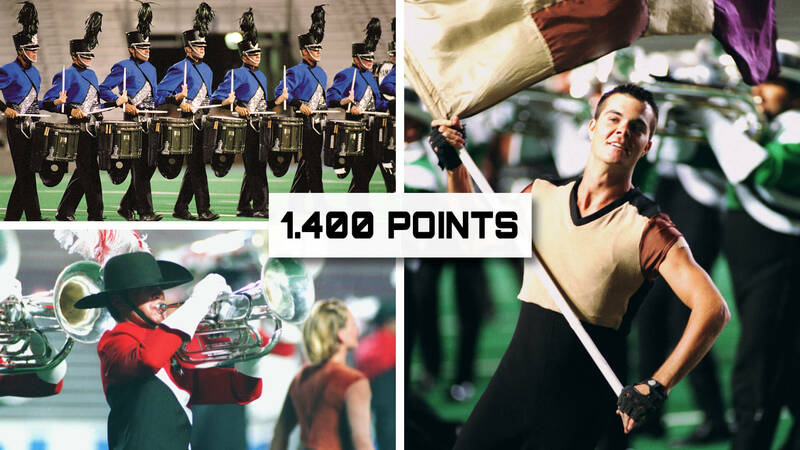 Nobody could come close to The Cavaliers in 2002, as the corps shattered the record high score and earned a coveted spot in the history books as one of only two World Class corps to ever earn three consecutive World Championship titles. 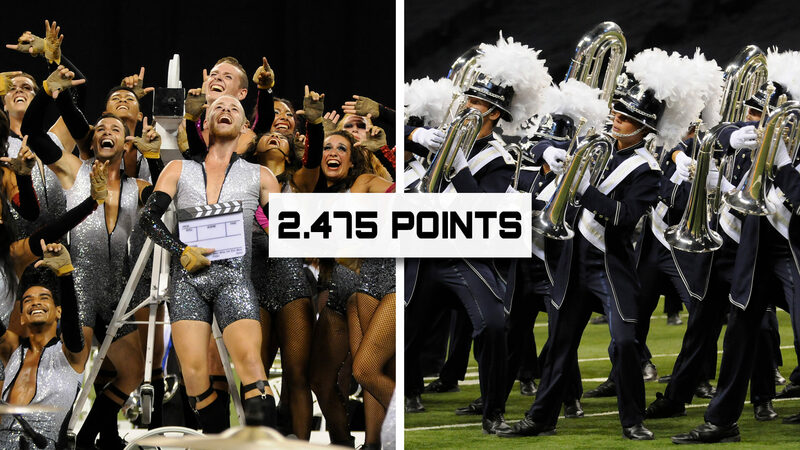 In just the corps’ fourth trip to the DCI World Championships, the Blue Devils left nobody wondering if the corps was one to be reckoned with as it took home its historic first championship title. 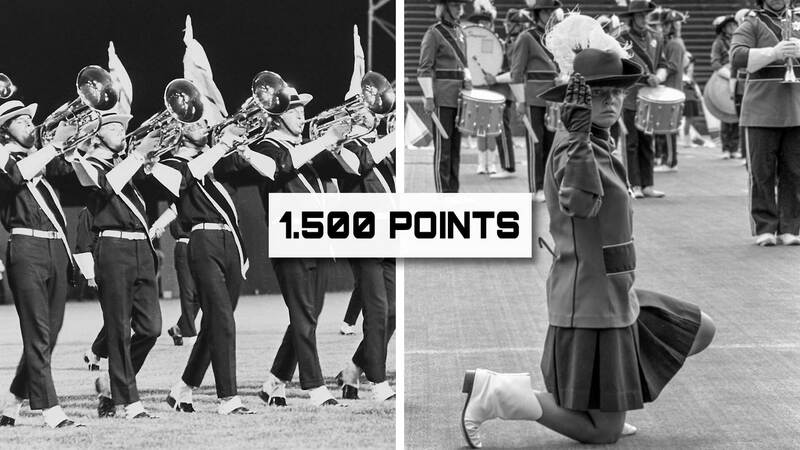 2014 was a magical season for the Blue Devils, as the corps earned perfect general effect scores from four different judges, as well as perfect scores in all three visual captions on the way to a new record high score. 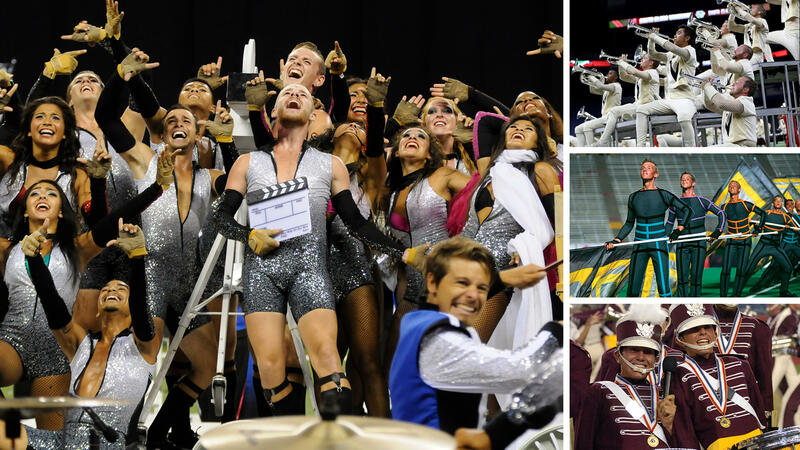 Santa Clara Vanguard dazzled with a “Young Person’s Guide to the Orchestra,” introducing audiences to a corps that would push the envelope while marching to two different rhythmic meters at the same time.